If you are searching your dream house especially in Bedok, with the current relevance, what are the options you have? And the important things to look out for that may affect your Home or asset? please feel free to meet up with me at 96680107 for a free consultation, whether is to relocation, financial or assets planning, regarding any Housing issue, i will listen to do my best to answer all your housing needs and assisting you in making the Right decision. Thank You. YOUNG HDB 5-ROOM AT BEDOK RESERVOIR VIEW! Please Call For an estimate Valuation, Thank You. Im Ron from Dennis Wee Group, specialize in Bedok HDB Resale Market. I serve my clients with passion and integrity, and readily provide housing solutions for every individual needs. If you are searching your dream house in Bedok, selling or thinking of relocation, please feel free to call me at 96680107 for any enquiry regarding HDB housing issues. I will listen and do my best to answer all your housing needs, and to assist you in making the right decision. Thank You. Always Looking Forward To Getting You Your Ideal Home. I'm Ron from PropNex, specialize in Bedok Estate since 2009 & is my Hometown where i grown up with in my childhood days, over the years i have grow with #Bedok. I serve my clients with passion & integrity, & readily provide housing solutions for every individual needs. If you are searching your dream house in Bedok, selling or thinking of relocation, or into Assets planning, please feel free to call me at 96680107 for consultation on any regarding Housing planning. I will listen & do my best to answer all your housing needs, & to assist you in making the Right decision. Thank You. Full Condo facilities with Large pool, Great for investment or own stay. 10 mins drive or 2 MRT stops to Changi Airport, convenient for frequent travelers. Close proximity to East Village, 350m Anglican high Sch, 370m Simpang Bedok & Market Place, Changi Business Park, SUTD, Global Indian international Sch. All bedrooms & patio have greenery view, Spacious & squarish layout. 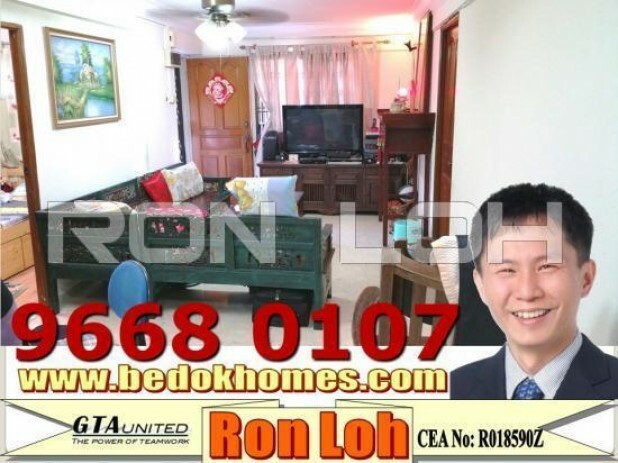 ⭐A Rare opportunity of 3NG HDB in bedok with remaining lease more than 60 years from 1984, 1 Bus Stop to Bedok MRT Blk 549 Bedok North Ave 1 For Sale Good unit for complete makeover to your taste, 67sqm come with 2 bedrooms & 2 bathrooms, toilets HIP upgraded completed & convenient to 539 Sheng Siong, Mc Donald & hawker centre. Easy access to Bedok Mall & Bedok Interchange. ⭐A Rare opportunity of 3NG #HDB in #bedok with remaining lease more than 60 years from 1984, 1 Bus Stop to Bedok MRT Blk 549 Bedok North Ave 1 For #Sale Good unit for complete makeover to your taste, 67sqm come with 2 bedrooms & 2 bathrooms, toilets HIP upgraded completed & convenient to 539 Sheng Siong, Mc Donald & hawker centre. Easy access to Bedok Mall & Bedok Interchange.